I haven’t posted in a while, but I’ve had a busy few months! My little Etsy shop has picked up a bit and I’ve had a few custom orders. 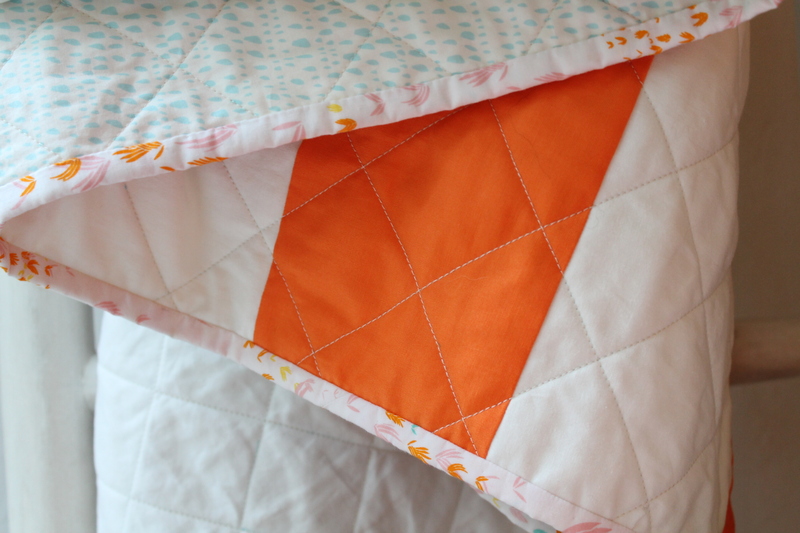 I was super pleased to get an order for two twin size quilts based on one of my early original designs. 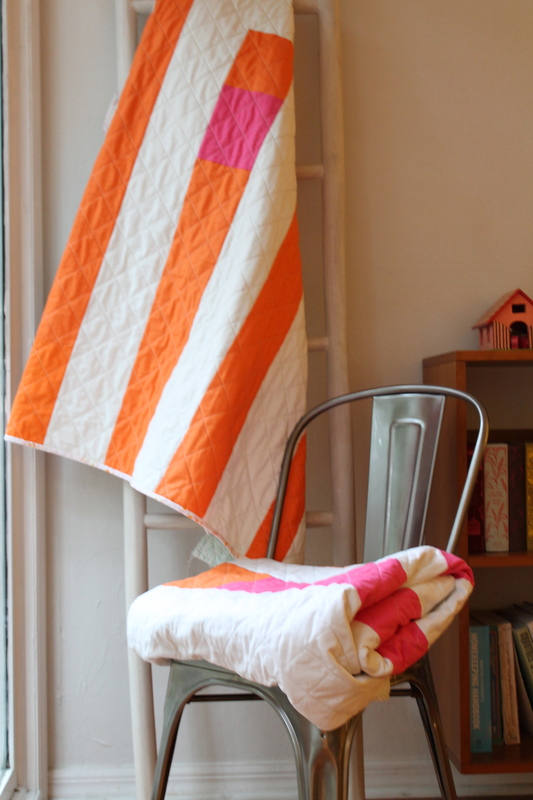 When I started my shop I was really excited to create quilts of my own design, and this Ellsworth Kelly inspired quilt was the very first to go up in my shop. I sold a few to friends and family and put the design aside. Then, out of the blue, I received an order for two quilts in this design, and I’ve had so much fun working with my customer, selecting colors and fabrics. I just love the orange and pink she chose. Picking the backing and binding was aided with a flurry of pinning–sometimes Pinterest is the best invention. This was exactly the type of work I imagined doing when I opened my shop, and it’s just as much fun as I hoped. In other news, I made and sold (another pleasant surprise!) a batch of puzzle balls–also fun. And I’ve been working on a really exciting project–something totally new for me that I can’t wait to share with you soon! This entry was posted in quilts and tagged custom quilt, Ellsworth Kelly, modern quilt, twin quilt on September 7, 2015 by brigitdermott. Very pretty, love the pink and orange, such a great combo. Very Pretty! I am a fellow Etsy seller. It’s nice to be in such great company! Hi Kara, thanks for your comment! I love your work!